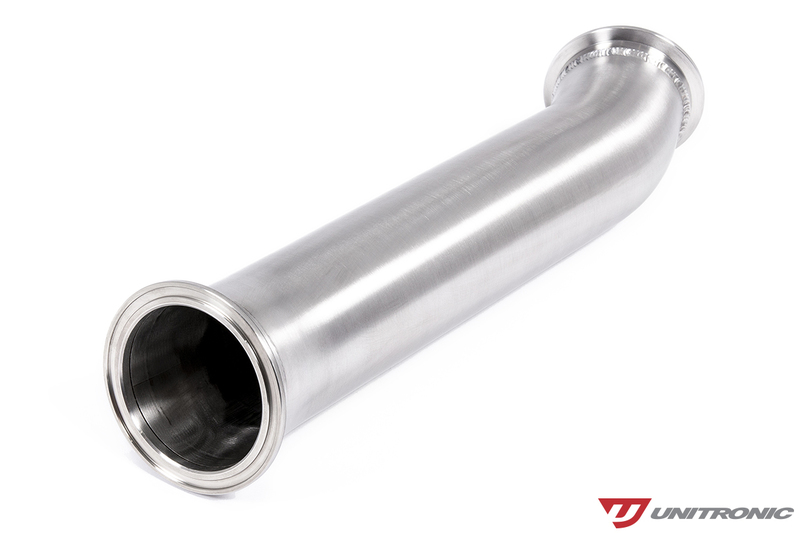 Constructed of 3" T304 stainless steel mandrel bent tubing, T316 stainless steel flanges, a corrugated stainless steel flex section, and TIG welded fabrication, this downpipe is built to withstand the test of time, while performing to the max. 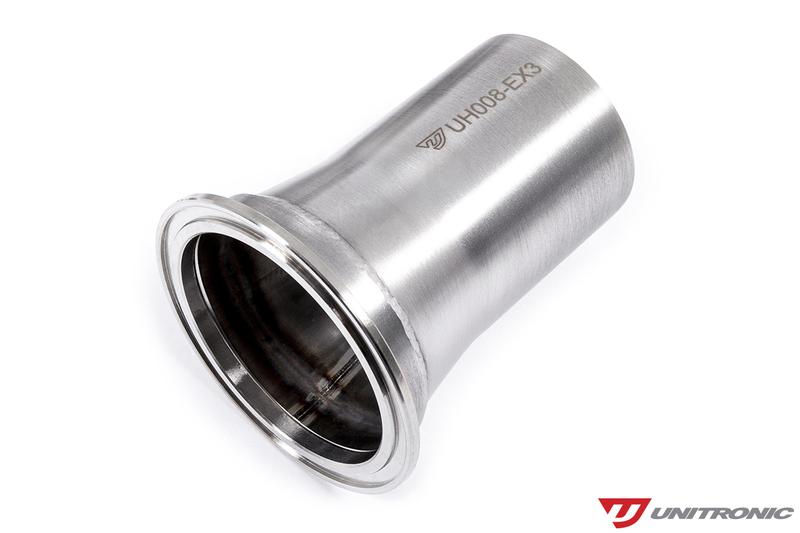 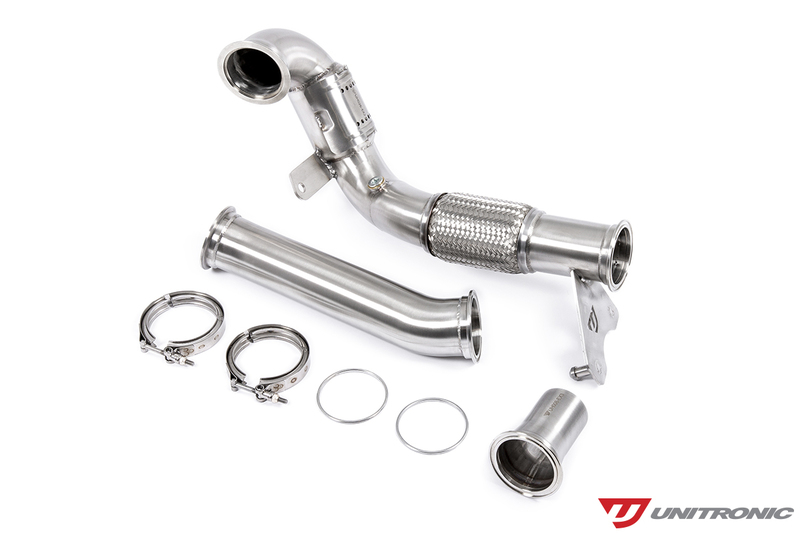 All Unitronic downpipes come equipped with a 200-cell high flow metallic catalytic converter and all transitions are flow-matched to allow for maximum performance and airflow. 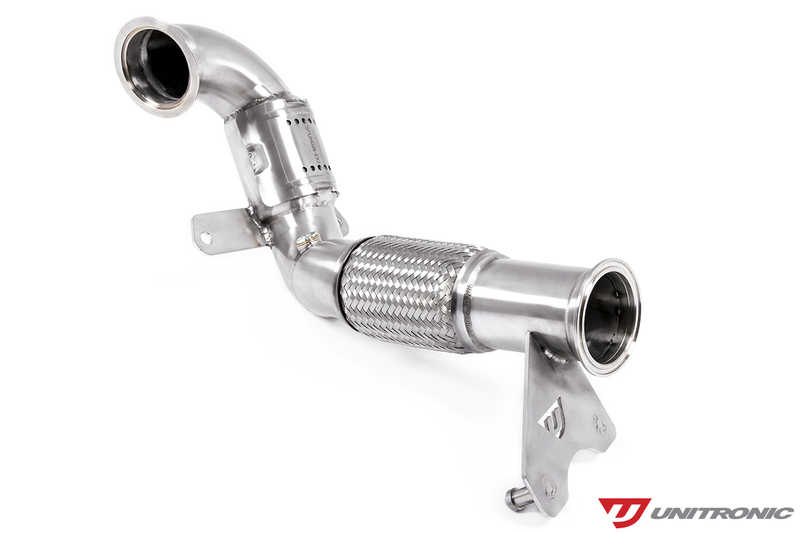 In addition, Unitronic exhausts feature an easy-to-use v-band exhaust fastening system to ensure a fast and effortless installation and precise fitment. 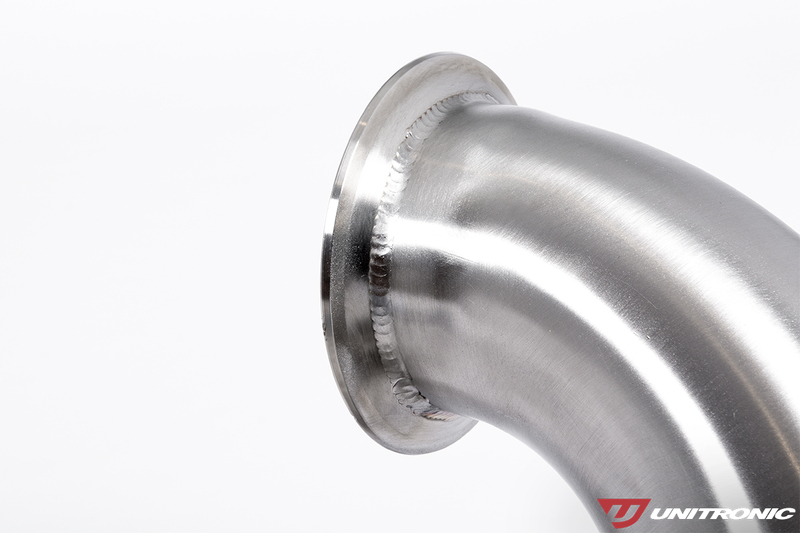 To finish it off, an OEM-inspired catalytic converter heat-shield protects against unwanted heat radiating in the exhaust tunnel. 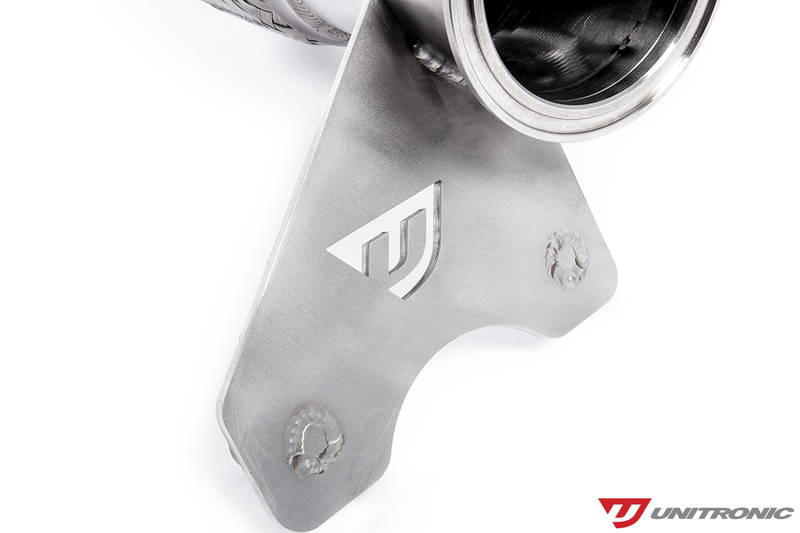 Every Unitronic Exhaust System comes equipped with a brushed matte finish for an elegant appearance that will last a lifetime. 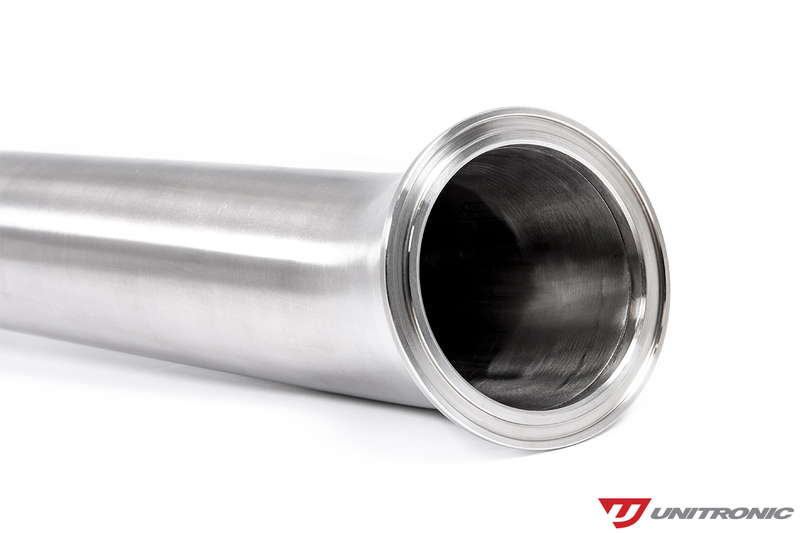 There's simply nothing like it! 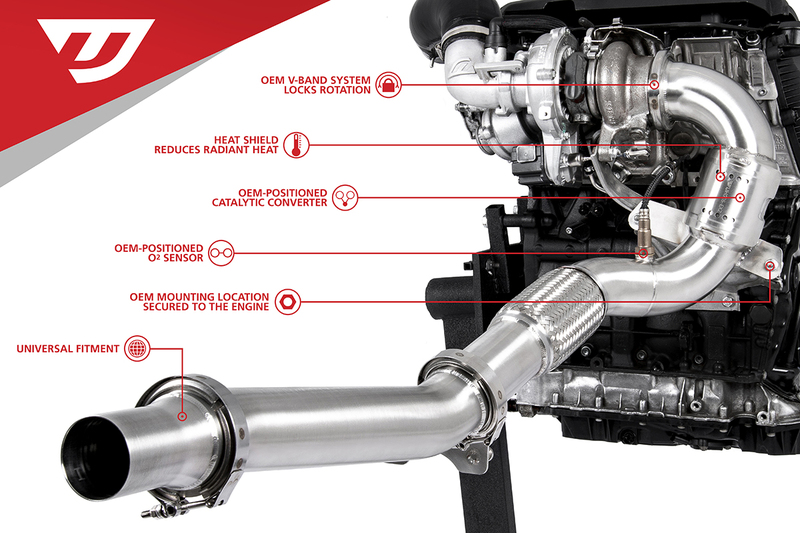 Use all Factory mounting location on the engine and on front subframe. 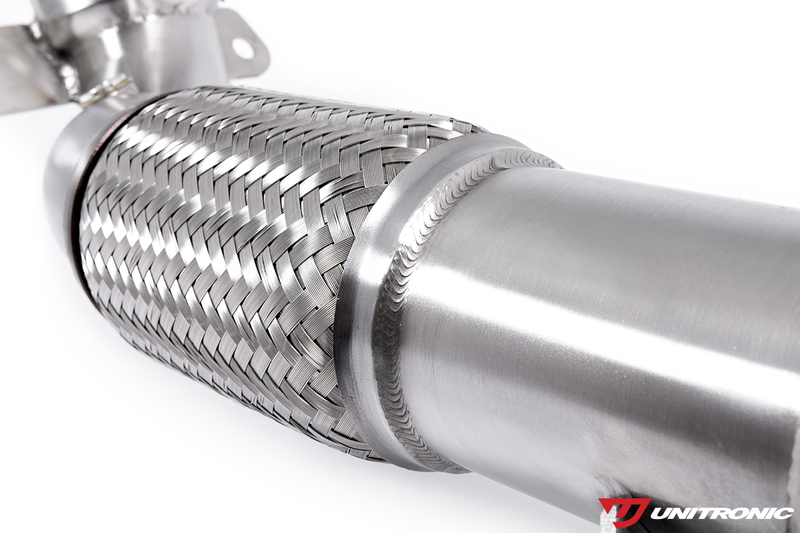 Assure maximum efficiency of the catalytic converter in line with OEM catalytic converter warm up strategy. 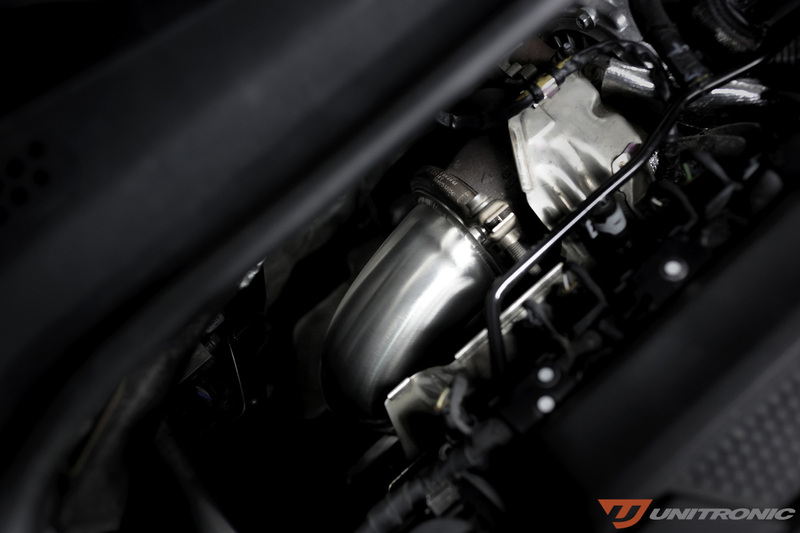 Help to reduce radiant heat in the engine bay. 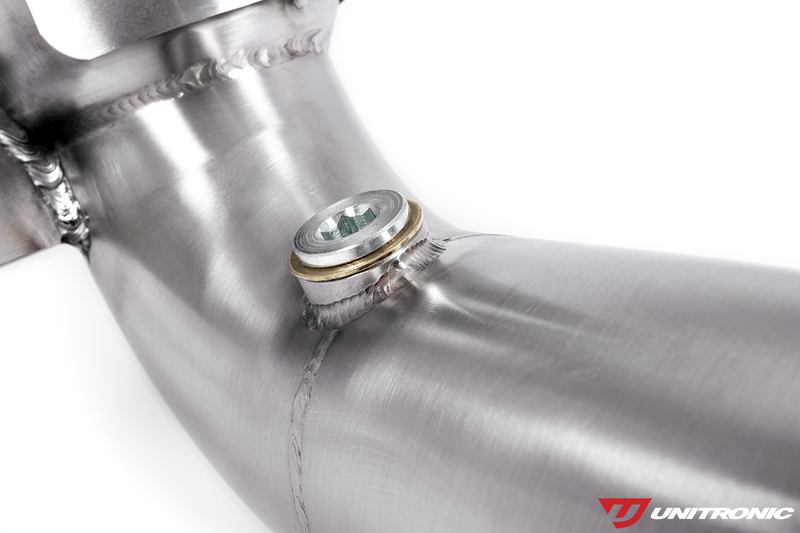 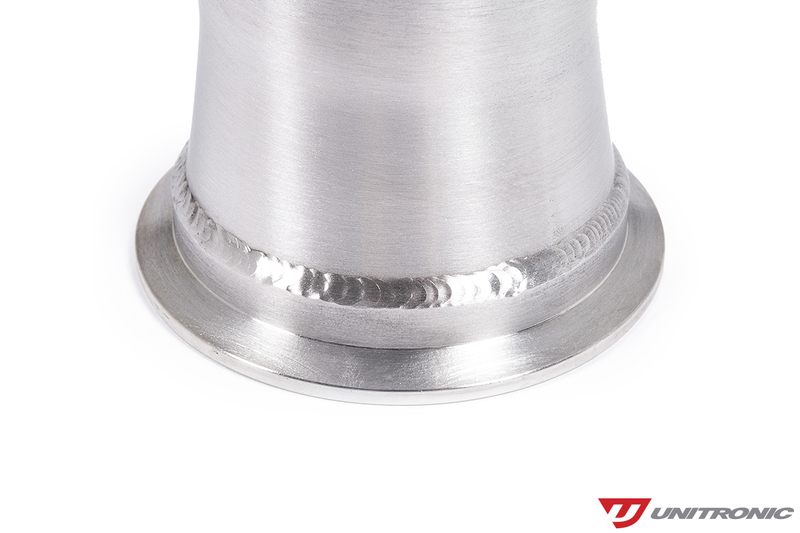 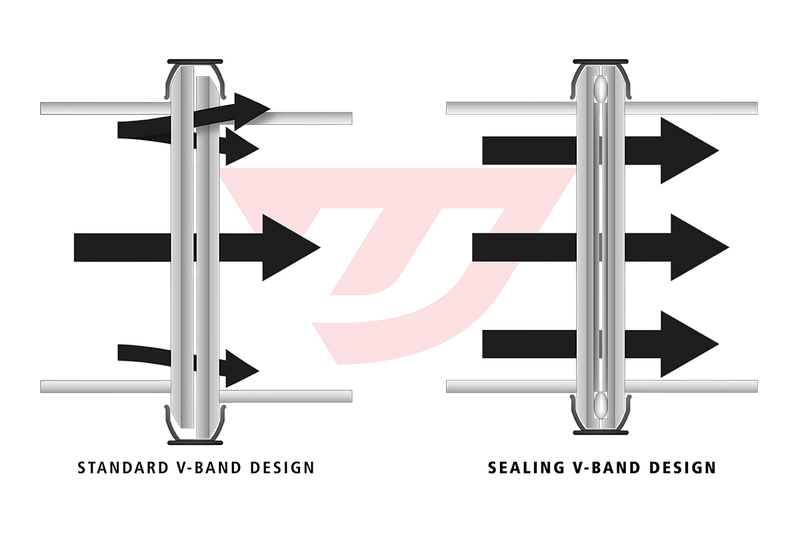 Assure a smooth flow transition between Turbine housing and 3” Stainless steel piping. 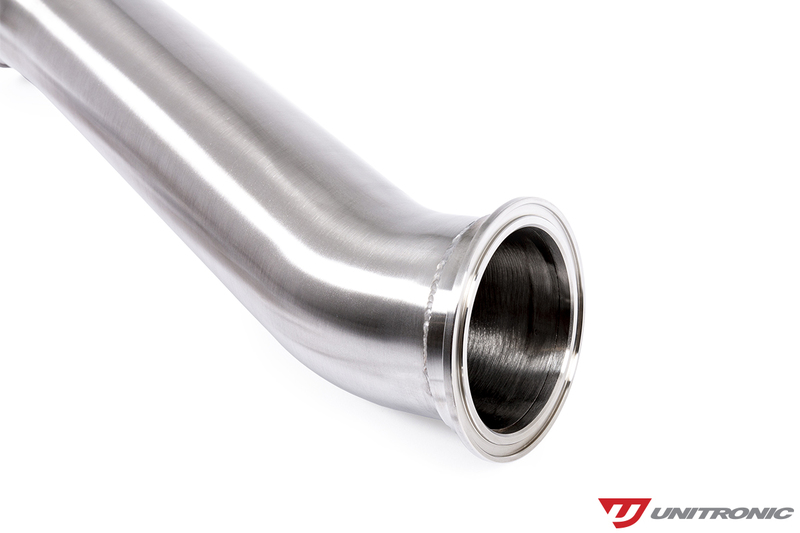 Professionally hand welded to assure longevity and leak proof. 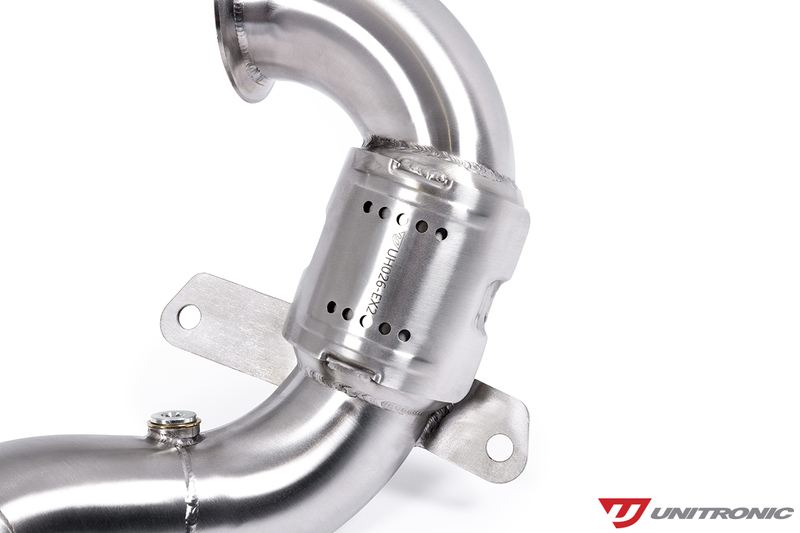 Featuring a unique v-band fastening system and engineered using the latest in 3D modeling technology, Unitronic Performance Exhaust Systems are made easy to install.